Nearly every region of the world hosts a book fair. Each fair boasts unique benefits to attract key publishers, agents, booksellers, librarians, and in some cases book-loving consumers. Spring and fall fairs mirror the primary publishing seasons, but fairs are held in almost every month of the year. At the heart of book fairs is an energetic love of creating and sharing books, and the whir of everything that makes the book industry go. Many book fairs, such as BookExpo America (BEA) and Bologna Children’s Book Fair (Italy), cater to professionals in the book industry and media, while others, such as International Kolkata Book Fair (India) and Hong Kong Book Fair, offer festivals that welcome book-loving readers. Publishers attend fairs to showcase their lists, generate buzz for new titles and authors, and negotiate rights deals. Some specialty book fairs and consumer shows offer books for sale. Industry book fairs usually offer complimentary advance reader review galleys or a limited number of finished books to entice booksellers, librarians, bloggers, and other influencers to read the books early and recommend them to their customers and patrons. In addition to displaying forthcoming books, many fairs offer seminars about the book publishing industry, covering topics as broad as publishing contracts to data-driven new-release marketing plans, risks in emerging markets, and content especially for librarians and museum store buyers. Ticketed events offer participants opportunities to attend select book signings or share a meal with bestselling authors and network with peers in the publishing industry. 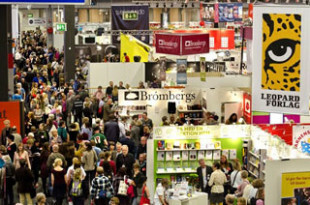 Beyond promotion and rights sales, book fairs can also be valuable for publishing professionals to meet with trade service providers, such as distributors, wholesalers, PR and marketing service providers, packagers, technical services (e.g., IT support, publishing software), audio and ebook creators, merchandisers, and more. For authors, attending a book fair can be overwhelming and takes careful planning. Often the exhibits are staffed by knowledgeable sales teams, but probably not the editors or agents you may hope to connect with about your work. If you are an author with a new book coming out, fairs are a great way to (through your exhibiting publisher) meet fans, talk with booksellers and librarians, and learn more about the industry in general. Before you go, make sure you are eligible to enter the exhibit hall and follow instructions carefully to register for a badge well in advance. Set clear goals for the fair and preplan which booths and sessions you want to attend. While publishers promote upcoming titles to buyers, most official business at international book fairs centers around proactive publishing rights negotiations. For months leading up to the fairs, agents and publishers correspond about interests in buying or selling foreign, translation, film, merchandising, and other subsidiary rights. Book fairs set aside International Rights Centers for agents and publishers to meet in person to negotiate deals. Most international book fairs host a guest-of-honor country, showcasing key aspects of the publishing industry in that market. Often, educational sessions about emerging markets and trends help publishers and agents discover new opportunities to widen their international audience. 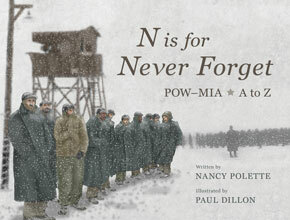 Collective exhibits, such as those offered by Independent Book Publishers Association or Foreword Reviews, display titles from several publishers who cannot attend or don’t have enough titles to justify the cost of a separate exhibit. Publishers from around the world visit these collective exhibits to thumb through the displayed books and express interest in starting a rights conversation. The collective organization then passes along the interest to publishers, for the titles they represented, to follow up after the show. Frankfurt Book Fair (Germany) is the world’s largest trade book fair, based on the number of publishing companies represented. Held annually in mid-October, this fair is considered by many to be the most important book fair in the world for negotiating international rights and licensing deals. BEA is the largest trade show in the United States. Hosted in May or June each year, BEA is primarily a trade fair where publishers announce their fall lists and sell and buy subsidiary rights and international rights, on a smaller scale than Frankfurt. Publishing professionals, librarians, retail buyers, and authors are the primary attendees. The International Kolkata Book Fair (previously called Calcutta Book Fair) is considered the world’s largest non-trade book fair. It is primarily for the general public and may be the most attended book fair in the world. While the largest fairs showcase every genre and market, there are also hundreds of book fairs and professional association conferences that cater to publishing specialties (e.g., American Library Association and Museum Store Association) or aficionados. To find these fairs, look for organizations that support the genre or type of books that interest you. For example, The Antiquarian Booksellers’ Association of America lists fairs displaying rare book finds. At the annual New York Antiquarian Book Fair in New York City, approximately 200 dealers from around the world bring a vast selection of rare books, maps, manuscripts, illuminated manuscripts and ephemera, covering art, medicine, literature, photography, autographs, first editions, and more. This book fair is officially sanctioned by ABAA and the International League of Antiquarian Booksellers, giving collectors confidence in the authenticity of the items available for purchase. All books, manuscripts and related material have been carefully examined for completeness and bibliographic accuracy. Addressing a complete different fan base, ComicCon focuses on all things comic books. Put on by Comic-Con International, a nonprofit dedicated to creating awareness of and appreciation for comics and related artforms, San Diego Comic-Con International is a multi genre entertainment and comic convention held annually in San Diego,California. Originally showcasing primarily comic books and science fiction/fantasy film, the convention now includes pop culture and entertainment across many genres, including animation, manga, collectible card games, video games, and webcomics. It’s the largest comics/graphics-based show in North America. Similar international comic book festivals include the European Lucca Comics & Games and Festival International de la Bande Dessinée d’Angoulême. The world’s most-attended comic book convention is Japan’s Comiket. The following list is a small sample of book fairs around the world and when they are usually held. Follow the links to the fair website for dates, locations, and information about attending. 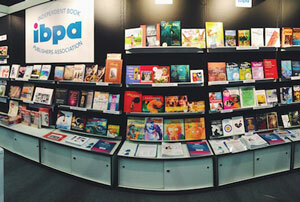 For more international book fair dates, visit International Publishers Association. The oldest book fair in India, the third-largest market for English language publications. Organized by the Egyptian American Book Organization, this is the oldest book fair of the Arab world, drawing nearly two million visitors every year. World’s largest non-trade book fair, with more than two million people attending. An integral part of the cultural life of the city and is held around the same time as the Kolkata Literary Festival. The Kolkata Book Fair is a great way to experience the vibrant culture of this city at its best, in a fairground atmosphere that celebrates the culture of books and reading. This unique festival, with poetry readings, children’s activities, art exhibitions, and concerts, begins in the capital of Cuba and spreads to all provinces. One of the largest trade fairs in Asia, focused on international distribution and rights negotiations. Top international children’s book fair, attended by children’s publishers from all over the world. Children’s publishing awards presented at this fair include the Bologna Ragazzi Awards, Astrid Lindgren Memorial Award, and Hans Christian Andersen Awards. Originally started as The Specialist Publishers Exhibition for Librarians (SPEX) as a means to help small publishers show their work to librarians, the London Book Fair hosts primarily European publishers, booksellers, rights agents, and media. Increasingly considered the key international book fair for the spring, with Frankfurt in the fall. The largest book fair in the Spanish-speaking world, this fair combines offerings for the publishing industry, literary community, and general public all together. It’s one of the longest book fairs in the world with a duration of almost three weeks. Increasingly one of the most influential book fairs in the Middle East region. The biggest annual book trade fair in the US. Large US consumer book fair. In 2016, held the day after BookExpo America in Chicago. Hosted by the American Library Association, the annual conference caters to primarily librarians, but invites authors, publishers, business professionals, educators, students–anyone who is passionate about books and libraries. Organized by the Hong Kong Trade Development Council, the Hong Kong Book Fair hosts cultural and literary activities for the general public in an effort to promote a culture of reading. 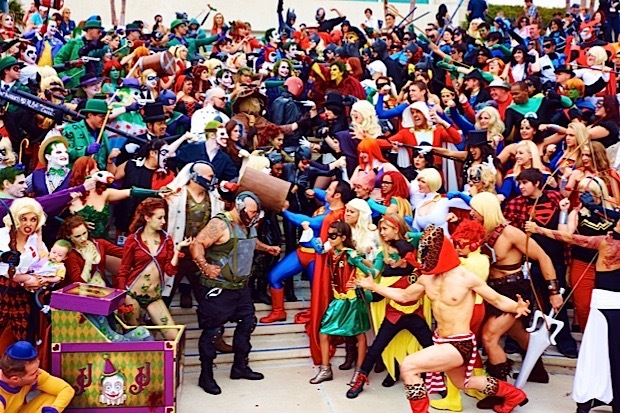 Dress up as or meet your favorite comic book characters at Comic-Con International. The largest pop culture book show in North America, featuring comic books, animation, manga, collectible card games, video games, webcomics, and more. Significant book fair in Asia for international rights, providing an opportunity for publishers to explore options in the Chinese publishing market. Started as a joint venture between the Frankfurt Book Fair and the Publishers Association of South Africa (PASA), considered the most significant international book fair in sub-Saharan Africa. The largest publishing event in Japan. Largest book fair in Russia. World’s largest global rights marketplace. Several prizes are awarded every year at the fair, including the Peace Prize of the German Book Trade and the Bookseller/Diagram Prize for Oddest Title of the Year. The first three days are restricted to the trade and the last two days are open to the public. A bi-annual event, exclusively reserved for publishing industry professionals. Alternates between Madrid and Barcelona. Also called FIL (Feria Internacional del Libro de Guadalajara), this fair has grown to become the second most important annual book fair in the Spanish-speaking world after the Buenos Aires International Book Fair. 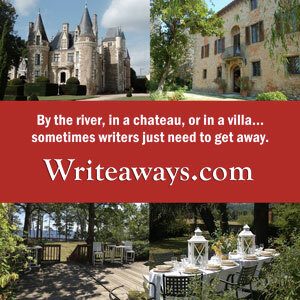 For both publishing professionals and general readers, includes a nine-day cultural festival.. Relatively new children’s book fair, building on the interest in children’s publishing throughout Asia. Are you attending an international book fair this year? Contact our Books Make a Difference team to meet us in person and tell us about how your books are making a difference. This article was first published April 2016.